My daughter, son-in-law and grandchildren are coming over for dinner tonight, so it’s time to run out to the fall garden and pick dinner. If you don’t subscribe to the HGIC Newsletter, you missed the new video shot and edited October 28 by Dan Adler in my fall garden. Here’s a link to the video on YouTube. 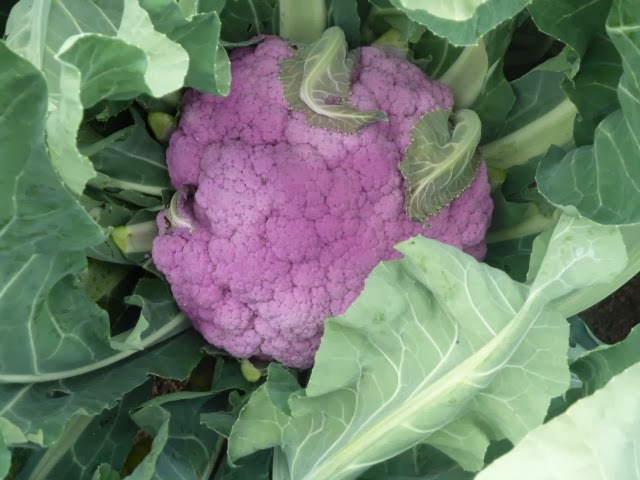 So besides the greens shown in the video, I have a few other vegetables growing, like carrots, turnips and a beautiful purple cauliflower called Graffiti. I planted the Graffiti transplants August 1. Graffiti takes about 80 days to reach maturity and adding the so-called short day factor (adding 14 days to the maturity time), is ready to harvest in early November. So, dinner will be a lettuce and arugula salad, venison tenderloin marinated in red wine, olive oil and garlic, roasted carrots, butternut squash, last of the spring Yukon Gold potatoes and baby turnips. With a good bottle of Rioja I brought back from a recent trip to Spain, it will be a delicious evening. ← ROOT VEGETABLES FOR THANKSGIVING? Can't buy that meal at a supermarket! 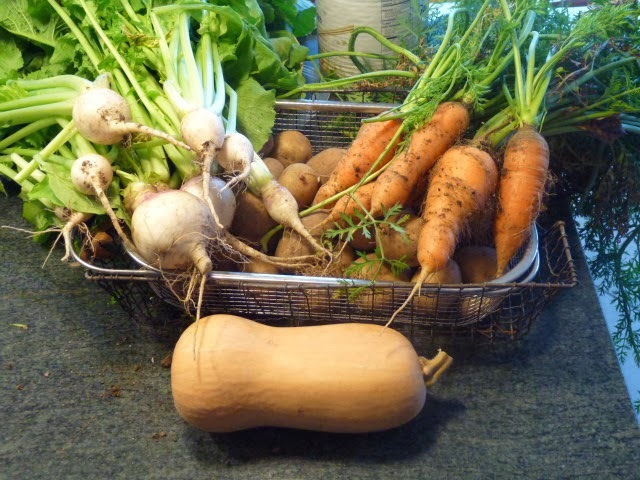 Congratulations on a stunning fall vegetable garden–and I enjoyed the “autumn greens” video too. I shared your video on FB – great stuff, and encouraging for those who may only want to plant a large container of some kind to have green out the kitchen door (if they've got enough sun).